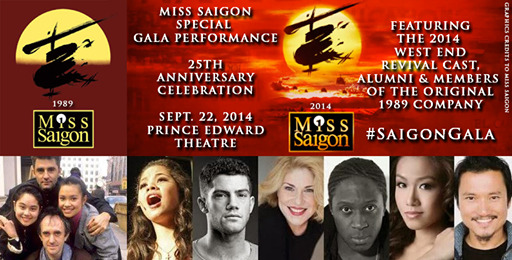 An all-time favorite Broadway musical, Miss Saigon celebrates its 25th Anniversary in a special Gala performance that took place on September 22, 2014 at the Prince Edward Theatre in London. 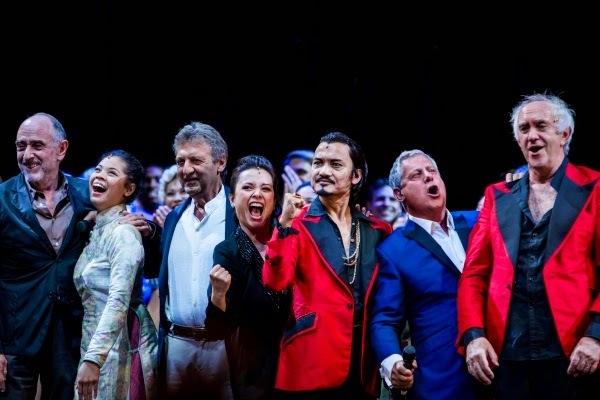 Featuring the cast of the new production, alumni and members of the original 1989 company, performers include Lea Salonga, Simon Bowman and Jonathan Pryce. 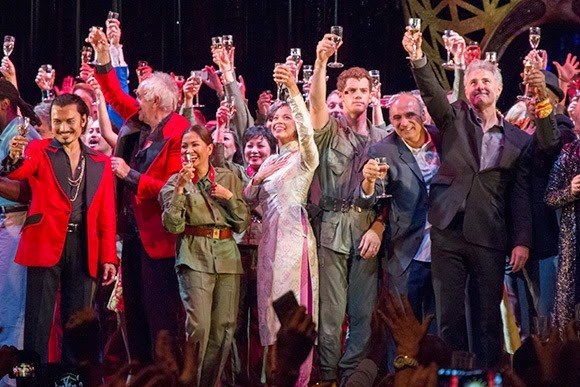 Since Miss Saigon's sensational record-breaking run at London's Theatre Royal Drury Lane 25 years ago, it has played in 300 cities in 15 different languages, winning awards around the world. Cameron Mackintosh's production has returned to the West End drawing massive theater fans to celebrate the 25th anniversary of its London debut in Drury Lane. The musical, which is based on the Puccini opera Madame Butterfly, tells the tale of a Vietnamese bar girl Kim, who falls in love with Chris, an American GI during the Vietnam War. But their lives are torn apart by the fall of Saigon.